Santa Allen is available for parades, tree lighting, Corporate events, and select home visits. Having appeared in front of large groups, both for the general public and private corporations, he can help bring the season to your event throughout Texas, Oklahoma and beyond. With many small details and a rich red suit, Santa Allen will surpass your expectations. 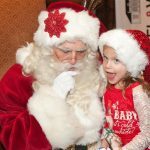 2017 Santa Claus appearances have already started to fill in, please contact Santa Allen as soon as possible to ensure Santa visits your event or call 817-601-5666. Commercial Santa Claus work – Santa Claus Allen is also able to appear all year round for promotional work, TV commercials, and print advertisements. He knows many fantastic photographers and studios with which he can work to get that perfect look. Santa Claus Allen’s appearance and personality conveys the spirit of Christmas in person, print and film. If you are looking for a Real Bearded Santa Claus please click here. 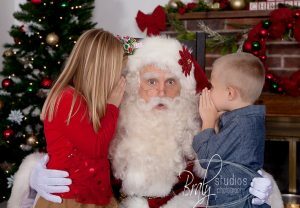 If you are an advertising or talent agency please call 817-601-5666 to discuss using Santa Allen this year. He has also received praise from some of the largest PR companies in Dallas for work done with thier clients. Home Visits: Santa Claus Allen will come to your home or neighborhood, make a grand entrance then entertain the children and parents with stories and activities. He can hand out gifts provided by the host and talk to each person about their hopes and dreams for Christmas. Though no visit is ever the same, a typical visit will start with Santa Allen making a big entrance announcing his arrival. Santa will greet everyone, young and old alike as he moves to the living room or other location you have prepared. As Santa gathers all of the children around he will entertain them with stories from the North Pole and then perform a first hand account of the timeless classic T’was the Night Before Chirstmas. Santa Allen’s telling of this magical story has been heard by thousands and is his most requested story. Pictures with Santa and listening to the hopes and dreams of children present round out most visits. Email Santa@SantaAllen.com to see if he is available. Santa Allen is known for his amazing home visits! He is especially good with young children that are unsure about Santa Claus. You just need to sit back and allow his patience and his Christmas magic to work. 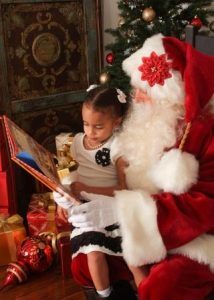 In no time your toddler or young child will be talking and interacting with Santa Allen and you will have memories and pictures that last a lifetime!! 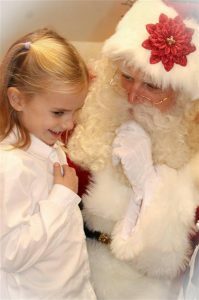 If you want a truly one of a kind Santa Claus visit with a ‘Hollywood Caliber’ Santa Claus, then this package is for you. Santa Allen will consult with you about your children’s names, what they are currently interested in, and about Christmas gifts from the past. A professional photographer will come to your home and set up. Then Santa Allen and Mrs. Claus will make a big entrance and greet your children by name. 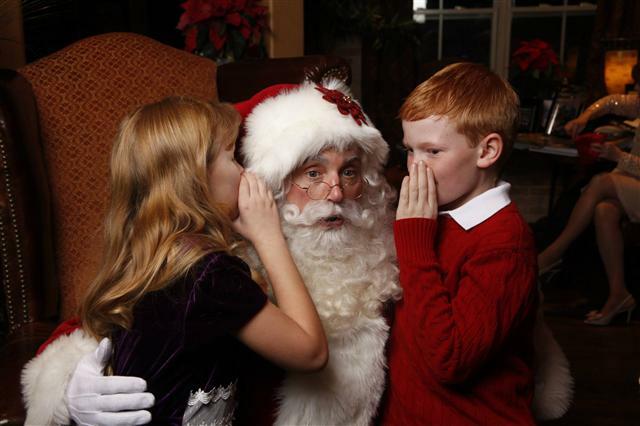 They will be mesmerized by his authenticity and personality as he tells stories about the life at the North Pole. Santa Claus will perform his unique first person version of “T’was the Night Before Christmas” and Mrs. Claus will have everyone singing Christmas songs. While all of this is going on, our professional photographer will be capturing photos. Santa Claus will then listen to the hopes and dreams of each child and hand out gifts that you have provided to each child. Santa will also give to each child a solid brass ‘Believers Bell’ and tell a story about it. 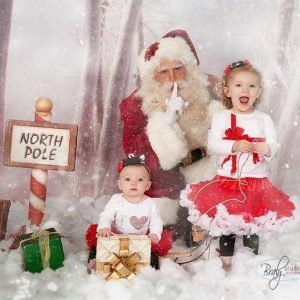 High quality photographs of your children with Santa and Mrs. Claus will be taken, including several specific poses guaranteed to be treasured by you for years to come. Family pictures are also included. These pictures will be edited and delivered to you electronically so that you can do anything you wish with time. But if you would like we can also, print them in any way you wish. Here are a couple of precious pictures from recent Ultimate Santa Claus visits. Great pictures and memories for children and parents too! 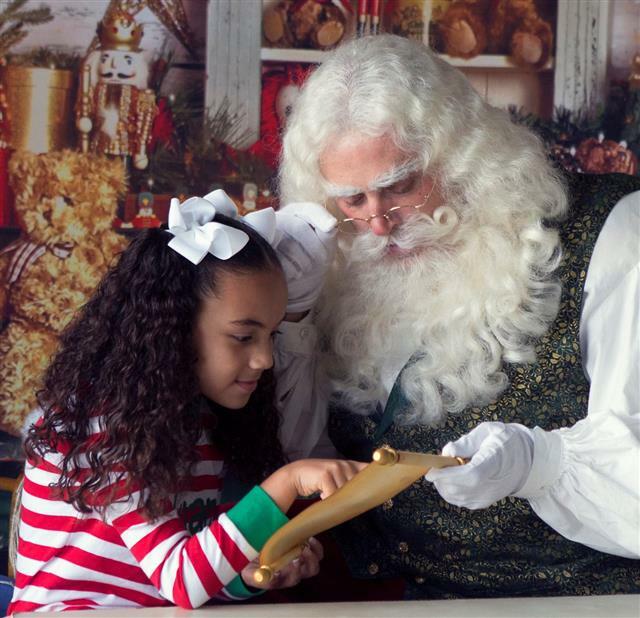 We are only able to offer a select number of “Ultimate Santa Claus visits” each year and scheduling is limited. They generally last about an hour, depending on the number and age of children. This is the best Santa Claus experience available in DFW. 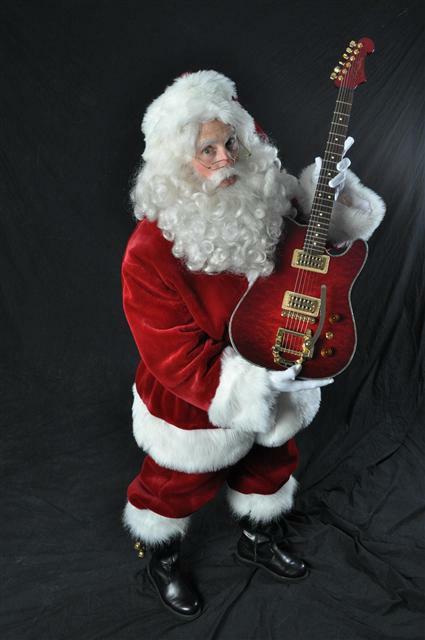 To schedule Santa Claus Allen call 817-601-5666 email santa@santaallen.com or fill out the contact form here. Company Parties: From pictures with Santa Claus and handing out gifts to helping with entertainment, Santa Claus Allen has experience appearing in front of groups both large and small. 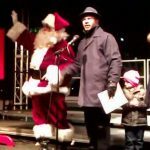 Communtity Events and Parades: This is where Santa Claus Allen’s larger than life presence really brings the season to life for large crowds. He has appeared at the Official City of Dallas Christmas Tree Lighting and for several cities to help kick off the Holiday season. It was a pleasure to have met you. You were such a gracious Santa for our community’s annual Lighted Christmas Parade. Your joyous and calming demeanor were in stark contrast to some of our past Santas. I was very impressed with you and the pleasurable experienced by the parents and children during the event. The fact that you remained available until the last child came by to see you speaks well of your devotion to the big guy. Commercial Projects: Do you need a professional for a magaizne cover, advertising campaign, or PR event? Santa Allen has experience with all of these and can travel throughout the US and appear all year.